My previous post received a detailed comment from SDL, "so you can retain a balanced view". It is not practical for SDL to maintain products doing back more than 3 years. Possibly so, but this has nothing to do with the subject of my post, which did not ask for ongoing support for users of 6.5, but for retaining the ability to upgrade older products at a discount. There are plenty of companies with more generous upgrade policies. Your PC needs to already have one of the following software products installed in order to use this upgrade. Any Microsoft Office XP suite except Office XP Student and Teacher. Many of the same bugs persist, from year to year. I've documented examples of Trados erratic behaviour in some previous posts (for instance this one, or this). For an egregious bug try this: have the text to translate in one big MS Word table, in which several columns are formatted as tw4winExternal to protect their contents, and only one is translatable text, with each segment on a separate row in the table (this is a common format in which interface strings are often sent out for translation). Open the first segment, translate it. Click "Set/CLose Next Open/Get", or "Translate to Fuzzy". The program skips several rows, and opens a segment much further down. This bug has been known from at least version 6.5 (it was not present in 5.5, as far as I know), but has not been corrected. The only solution is to manually open each segment. The fee is not minimal, especially for people not wishing to upgrade as often as SDL would wish. This has nothing to do with the issue I raise in the post. I note, though, that boasting that "SDL provide free support for installation of the product even for non supported people" is disingenuous: what would you have otherwise "Sorry that Trados doesn't install on your machine. For an additional few hundred bucks, however, we can help you"? I've added the current requirements for update pricing of MS Office. I too have problems from time to time with Trados software, but then I do with all software..! I don't think SDL are doing anything different to most. Certainly I don't get particularly helpful support with installation issues from most product suppliers. I don't think Microsoft would call me back and I've seen posts in other forums where SDL have done this even without a support contract. I am considering a purchase of some translation software after googling the internet and came across your page. If SDL really are so bad what would you suggest as an alternative? To #1: You asked, If SDL really are so bad what would you suggest as an alternative?" Well *I* would suggest MetaTexis as an alternative. It is very affordable and just as powerful as Trados, perhaps even moreso because it is more flexible--plus it is 100% compatible with Trados. I'm just not clear on why people feel the need to spend hundreds upon hundreds of dollars for Trados, upgrade or not, when MetaTexis (or Wordfast) are so affordable and work *just* as well. 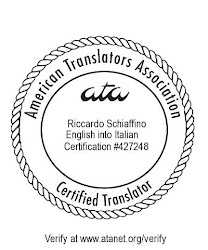 I personally think translation memory software is used primarily to reduce the fee paid to the translator, so the fact that Trados is so pricey (and unnecessarily so) is just that much more galling. #3 wrote: I personally think translation memory software is used primarily to reduce the fee paid to the translator. This is #2 again. Not in my case. Not a single one of my clients knows or cares that I use a CAT tool, so there is no question that they would expect a lower rate. after googling the internet and came across your page. If SDL really are so bad what would you suggest as an alternative?